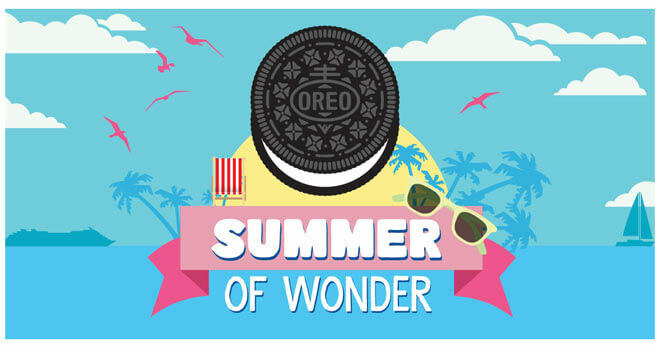 Share a picture of you enjoying an OREO treat from a participating restaurant on Instagram or Twitter and you could win the Oreo Summer Of Wonder Sweepstakes. The lucky winners will each receive a $1,000 gift card. Eligibility: The Oreo Summer Of Wonder Sweepstakes is open to legal residents of the 50 United States and D.C., 18 years of age or older at the time of entry. Promotion Period: Sweepstakes begins at 12:00 am ET on July 1, 2018 and ends 11:59 pm ET on July 31, 2018. Limit: Limit one unique entry per person per Phase, regardless of your method of entry. Four (4) Grand Prizes (one (1) per Freddys Prize Pool, one (1) per Cook Out Prize Pool, one (1) per Menchie’s Prize Pool and one (1) per Krystal Prize Pool): $1,000 American Express PrePaid Gift Card. ARV: $1,000.